Lake Macquarie has reinforced its commitment to being a diverse and inclusive City by becoming the first NSW Council to join the Welcoming Cities network. 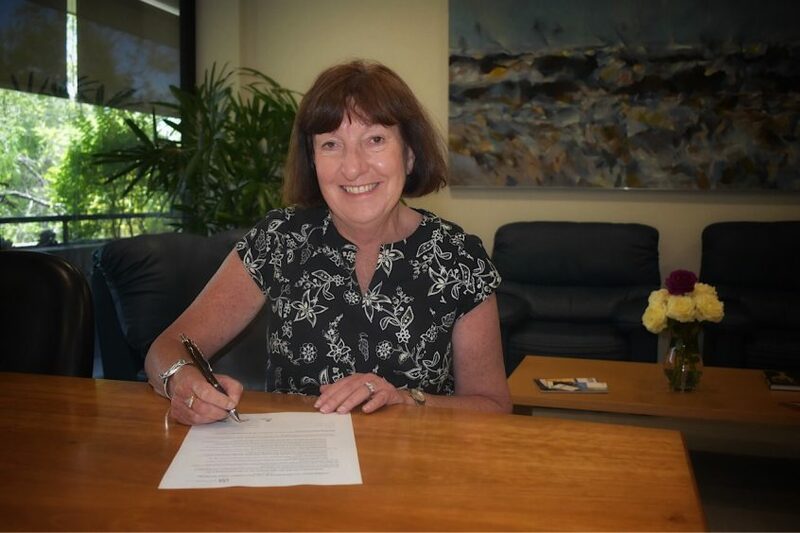 Mayor of Lake Macquarie, Councillor Kay Fraser, this week signed a formal commitment to Welcoming Cities, a national initiative that promotes social cohesion and the benefits of diverse, multicultural communities. “Lake Macquarie welcomes people of all backgrounds in our community and recognises the value and richness that cultural diversity brings to our City,” Cr Fraser said. “We are increasingly a city of choice for migrants looking to make a home in Australia, with the number of overseas-born people who live in Lake Macquarie having increased by about 50 per cent over the past decade, to nearly 15 per cent of our population. “We are proud of the diversity of our City and the welcoming nature of our community. Becoming a member of Welcoming Cities will link Lake Macquarie with like-minded communities and allow us to share ideas about how we can further promote and enhance social cohesion. Welcoming Cities was established in 2016 and is part of a growing global movement that includes similar organisations such as Welcoming America in the United States, Cities of Migration, based in Toronto, Canada, and the European Union’s Intercultural Cities network. The National Manager, Mr Aleem Ali, welcomed Lake Macquarie’s commitment to the initiative. “We’re excited to be working with Lake Macquarie City Council to create communities where everyone can belong and participate in social, economic, and civic life,” Mr Ali said. Welcoming Cities is developing a National Standard that will allow local councils in Australia to measure the success of their cultural diversity and inclusion policies and practices. Lake Macquarie’s commitment to inclusion and cultural diversity is reaffirmed throughout Council’s key community planning strategies, including its Multicultural Plan, Disability Inclusion Action Plan and Community Strategic Plan.